....then I urge you to take this one minute survey conducted by the well respected Builders Merchant Building Index this week. I am spreading the word as it only takes one minute and I am very keen to see the results. 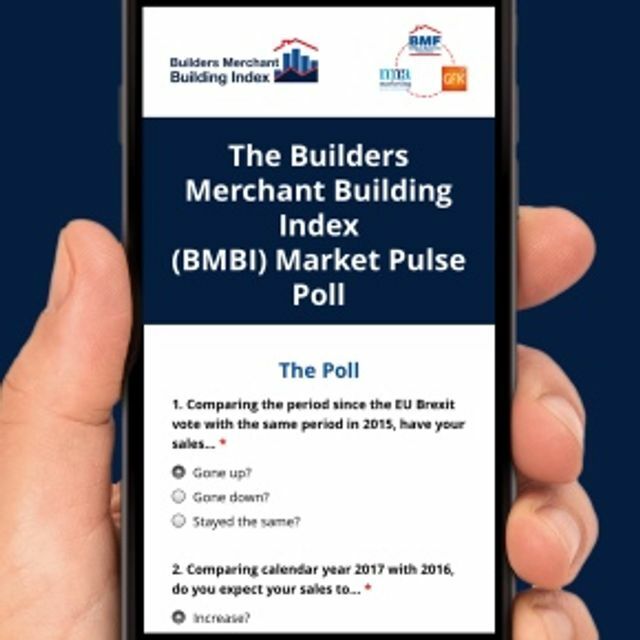 The Builders Merchant Building Index (BMBI) is conducting a one-minute ‘market pulse’ poll gauging the effect of Brexit on the construction industry and expectations for sales in 2017. The BMBI is a monthly index of builders’ merchant sales to builders and contractors, managed by MRA Marketing. The BMBI publishes quarterly reports and commentary explaining market trends within the industry, using gold standard data from GfK’s Builders’ Merchant Point of Sale Tracking Data, which analyses data from over 80 percent of generalist builders’ merchants’ sales throughout the UK.